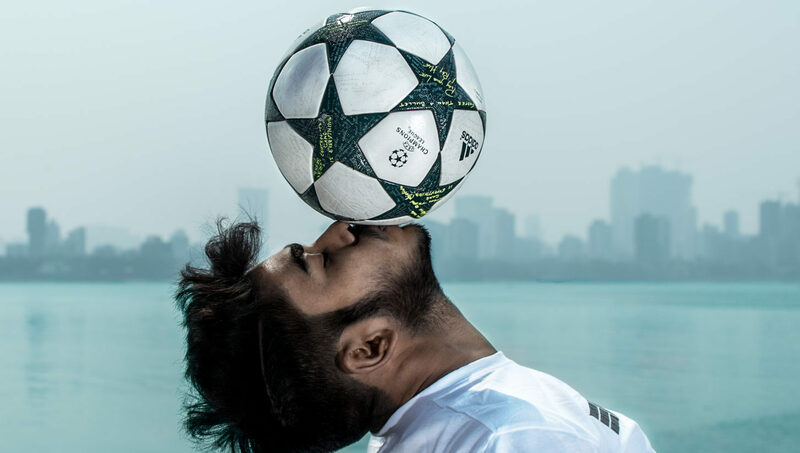 By now most people will recognize that when it comes to freestyle football, the tricks can be broken up into some different categories. One of those categories is uppers — which tend to use the head, neck, shoulder, face, and basically anything on the upper body! There is still an infinite amount of ideas and possibilities with these types of moves. Balance, timing and control are just some of the key aspects for performing amazing, fluid uppers. For this week’s Top 10 Tekkers, we turn our attention to some standout uppers clips for your enjoyment. 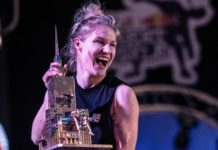 The timing could not be better as there has recently been an upsurge in crazy uppers clips from those competing in the online uppers competition WPUC10. So sit back and appreciate! In the blazing Indian heat, Vishav gives a nice steady set of some uppers and then out of nowhere hits us with that “No Gravity” or “Air” Side Head (however you wish to call it) that we typically see from the Fagerli brothers. This type of trick is incredibly dope, and we think it will get more popular as time goes on. Corvin Berndt delivers a well-worked uppers set here living up to his word that he’s been focusing hard on the speed and quality of his uppers. It has to be said that the style here is really on point. I don’t understand how his head is still attached to his body. Mexican freestyler Angel Amador’s skill is ridiculous! Reverse Turlakov Around The Moon is one of very few 2-rev uppers tricks out there. Slow motion was definitely needed for this one! Of course it wouldn’t be right without featuring the Russian uppers maestro BenGau. 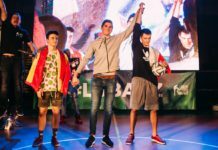 He uses this particular post as an opportunity to give his thoughts on some of the trends and details about uppers in modern day freestyle (most notably on what he feels is a misplaced hype on rollers) which in itself is well worth a read. But here, the actual combo goes beyond the one minute of Instagram and is nothing but pure uppers art all within a small space. Ru/Eng(Rude words on rollers – read 1st comment) Грубо о роллах в 2018. Зацените комбо из моего последнего видео, которое является вариацией на мое комбо 2013 года. Тогда это было действительно трудно для меня. В 2018 это по-прежнему сложно. С 2010 года меня пару раз в неделю стабильно спрашивают ,как научиться делать роллы. Уже 7 с лишним лет я спрашиваю – зачем? Эта категория вышла из тренда в 2011 году. Однако желающих меньше не стало. Окей, не мое дело. Круто что люди тренируются вне тренда. Что мы видим в дальнейшем? Любителей накрутить 400 роллов на один сайд и любителей этих же односторонних роллов на турнирах. Которые активнее всех вопят, что их апперы не заценили. Надеюсь, что никогда не заценят. Друзья, часто ли вас приводят в восторг 10 атв сильной ногой в комбо? Часто ли на сходке люди собираются вокруг человека, который решил сделать свой рекорд по атв? Для нормального человека ответ один – нет. Тогда откуда этот коллективный сговор слепых, в условиях которого стало нормально крутить роллы в одну сторону в неимоверном количестве и считать это классным? Базовый трюк атв пошел в своем развитии дальше. Придумали усложненные вариации, которые всем известны. В роллах за 10 лет тоже появились вариации. Их несопоставимо меньше, чем в ловерах для атв. Часть вариаций я снял в комбо сейчас. Часть снял в 2013 году. Тем не менее, стандартная планка хороших роллов для сих пор на уровне 10 роллов в одну сторону. Уровень специальной олимпиады. Я рад, что люди в 2018 году хотят научиться роллам. Но учиться следует как следует. В этой категории стандарты давно выросли как для аппер-фристайлеров, так и для тех ,кто просто делает апперы на турнирах. И требования должны быть адекватны современному уровню развития дисциплины, а не умственным способностям тех, кто живет требованиями 2010 года. Отмечайте подонков в комментариях. Жду ваших мнений. Fabian Duro is an Albanian freestyler who many will probably recognize for his flawless street shows in Prague all year round. So many would have done a double take to spot him in a snowy Paris here showing those perfect, trademark continuous rollers with a lovely Eiffel Tower as the backdrop. Aguska might be touring around India doing freestyle shows right now, but she still manages to find the time to squeeze in an uppers session and shows just why she’s the current European Female Champion. A real statement of intent from Jonathan (France) who says that he is gunning for WPUC10 glory. This clip is nothing short of incredible. From the fluency, the difficulty, and the variety, his uppers have it all it seems! LATM (Luki Around The Moon) mid-combo like it’s nothing nearly made me spit out my drink. There is always that one person who can’t resist the temptation of ending a freestyle set by sinking the ball into the basketball hoop. This time the culprit, Florian Kaulen of Germany did just that by finishing his concise uppers set with a neck flick into the cup. How’s about we see a 3-pointer next time mate? The creativity and limits of uppers are endless, just like other aspects of freestyle. Abdullah Emad, runner up in last year’s WPUC9 is one of those standout uppers guys and here he shares a clip showing some variations using an extremely difficult original trick. I have watched it several times and still clearly don’t have the coordination to be able to understand this sorcery. Impressiveness aside, he says he doesn’t have a name for it, any suggestions? Want to be featured in the next Top 10 Tekkers? Be sure to tag us on Instagram and use the #UrbanPitch and #Top10Tekkers tags!